Sony has announced some new custom faceplates for their PlayStation 4 console, there will be a number of colors available which will go on sale next month. 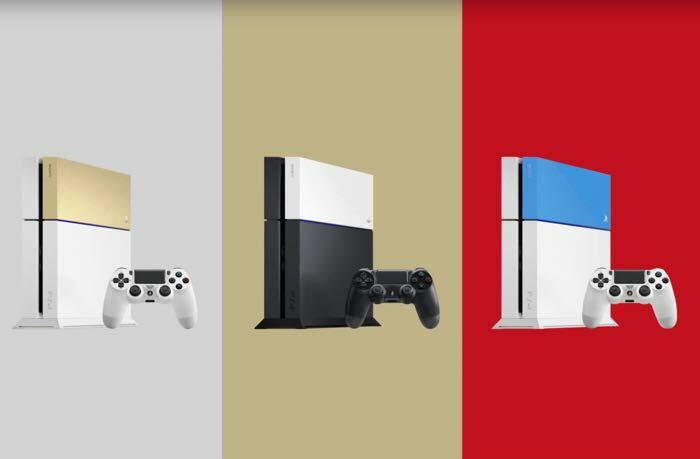 The colors for these PlayStation 4 faceplates include blue, orange red, gold, silver and white, some of these will launch on the 18th of November. Whether you want your PS4 looking bold and bright or stylish and sleek, with six colours to choose from it’s easy to get the look you’re after. Neon Orange, Aqua Blue, Red and Glacier White will all be available from November 18, with Gold and Silver coming at a later date*. **Silver and Gold not available in UK, Ireland and Australia. Neon Orange not available in Scandinavia. Sony has not revealed any details on how much these new faceplates for the PlayStation 4 will retail for, as soon as we gets some more information, we will let you guys know.